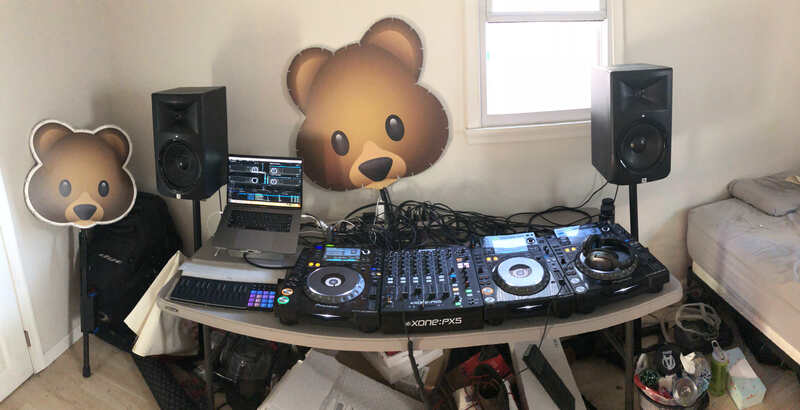 This is my current setup, 3 cdj2000nxs players, an A&H Xone px5 mixer, macbook pro, roli blocks seaboard/lightpad/loopblock. The bear heads are festival totems, the big one was a prototype. forgive the mess, this was just after i moved. Are you a fan of Poogie Bear! Not yet but I'm interested now that you brought him up! That's looks great! Love it!